Medium to large heads form rosettes of bronze, gold, red and green toned leaves. Will thrive in a range of climates, thus the "Four Seasons" moniker, this vigorous plant is easy to grow and remains crisp during all stages. 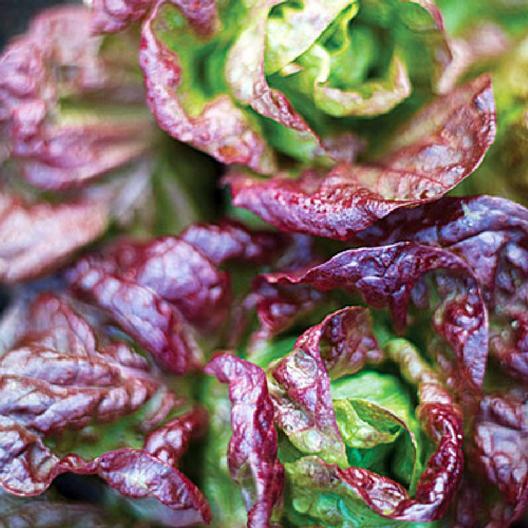 A true French heirloom from the 1800s, Marvel of Four Seasons has been lovingly cultivated in kitchen gardens for centuries.